Cleaner Maida Vale can offer you top to bottom deep and one off cleaning services in Maida Vale, W9. Call us today and organise a professional cleaning session. If you wonder why you should choose us among all the cleaning companies in London, here are some reasons. Cleaner Maida Vale offers a first-class service and we have a long experience in the field. We believe our long list of satisfied customers is a sufficient proof. We operate in Maida Vale as well as all the other areas of the capital. We employ only the best professionals which undergo serious training courses and are thoroughly checked for any criminal offences. We do this because our customers’ safety and satisfaction are of an utmost importance to us. As we have previously mentioned, this is just a sample list with only several of the chores that our professionals will do for you. In fact, they are much more and you are always free to add some. We are ready to listen to you and meet all your expectations. So if spring has come and spring fatigue has hit you, but you want your house thoroughly cleaned, call us now and book deep cleaning. Although commonly related to spring, in fact, this type of cleaning might be performed whenever you find fit. 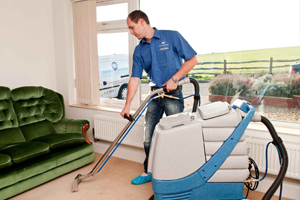 Leave your home to our professionals and enjoy a perfectly clean domestic environment. Mind you, we operate in Maida Vale as well as all around London.